Marryatt And Harvey Claim Calder Stewart Cycling Series. 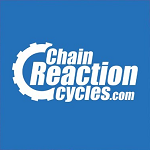 Michael Vink won the elite men’s race while Jake Marryatt and Mikayla Harvey won the men’s and women’s overall Calder Stewart Cycling Series elite titles after a brutal day of racing in the final round of the series, the Cycle Surgery Hell of the South near Christchurch. Vink won his third Hell of the South backing up last year’s win holding off his Mike Greer Homes team mate Sam Horgan and Team Škoda Racing’s Alex West to win the 144 elite men’s race that featured two gravel sections the elite riders tackled eight times in three hours and twenty five minutes. The elite field was the largest and strongest the series has seen this year with Paul Odlin’s (Tineli Invitational Team) effort to repeat his overall elite series win from 10 years ago only unravel on the final gravel section two kilometres from the finish when he punctured while with the leaders. Marryatt (Blackmax Performance) finished fifth, enough to add the elite men’s series title to his Under series jersey, the first time an Under 23 rider has also won the elite title. “After getting second last year it’s pretty cool to win the Under 23 jersey this year and as a bonus take the overall series as well,” Marryatt said. West Coast cyclist Sharlotte Lucas (Cycle Surgery) who has won the overall series for the last three years won her third round in a row beating Wanaka’s Harvey (Mike Greer Homes) and Karen Fulton (Freshchoice Richmond Pomeroys) from Nelson in a bunch sprint to win the 108 women’s race in two hours and fifty nine minutes. Lucas, who missed valuable points in the opening round as she rode as an individual, finished the series four points behind Harvey. Harvey went into the final round with a seven point lead over Lucas knowing she had to remain close to her at the finish to retain her series leading. “I’m so happy as it’s been a really tight competition for the whole series so to be able to come away from the last race winning the overall series is pretty awesome,” Harvey said. Tim Dalgliesh (Champion System Yellow) was the overall winner by the narrowest of margins in the master’s race that contained three age groups, just beating Invercargill’s Luke McPherson by less than a tyre width to win the masters 108 kilometre race in two hours and thirty six minutes. Michael White (Placemakers) won a small bunch sprint to claim third overall, holding off a fast finishing Justin Sims (Armitage Williams) and Warrick Spence (Freshchoice Richmond Pomeroys) as the group came home just over 30 seconds behind Dalgliesh and McPherson. The action started on lap two of the elite men’s race with Hefin Price and Tim Rush from Mike Greer Homes, Team Škoda Racing’s Harry Waine and Alex West, James Fouche and Josh Scott from L & M Group Ricoh, Theo Gilbertson (Cycling NZ Development team) and Moore Stephens Markhams Canterbury Development’s Reon Nolan getting away that saw them build a lead of 48 seconds at the start of the second lap of the 36 kilometre circuit. Price, Scott and Nolan were dropped on the gravel on the second lap and then Gilbertson fell off leaders on the third lap leaving Rush, West, and Forche at the front of the race. The three leaders were reeled in by a hard working group of chasers that included Vink and series leader Odlin just before the final section of gravel, only two kilometres from the finish line. Not knowing Odlin had punctured Vink attacked as soon as the leaders were off the gravel accelerating hard and going into time trial mode for the last 1500 metres, having time at the finish to raise his arms to celebrate the win. Corbin Strong (Joyride) was fourth to stamp his authority on the Under 19 leaders jersey he won while Odlin had some compensation winning the Small Business Accounting King of the Mountain title for the series. After a strong team effort the Mike Greer Homes consolidated their lead in the team’s classification over PKF Waterproofing Solutions. The women’s race saw all the leaders keeping a watchful eye on each other with the first major move happening on the first section on gravel on the first lap with Benchmark Homes team mates Elyse Fraser and Annamarie Lipp two key riders to miss the break. The race came back together on the second lap and it was then Fraser who lit things up with a bold solo move on the third lap that was eventually reeled in with 10 kilometres to go after some strong work from Mike Greer Homes team mates Ella Harris and Niamh Fisher-Black who could see an opportunity to take the Under 19 jersey off Lipp. As the riders jostled for position over the gravel and closing kilometres Lucas and Harvey both positioned themselves well but it was McIIroy who went first with the finish line in site only to see Lucas move ahead of her and then Harvey and finally Fulton who just pipped her to claim third. Jeannie Blackmore (FAST Cycling) did enough to hold onto the senior women’s over 35 jersey while Fisher-Black just edged ahead of Lipp, who struggled to hold onto a good position on the gravel, to win the Under 19 series jersey. Deborah Paine (F.A.S.T Cycling Team) won the Small Business Accounting Queen of the Mountains series jersey and Mike Greer Homes strong showing moved them ahead of Benchmark Homes in the close battle for the women’s team classification for the series. Like the other races the master’s event split up on the first gravel section, breaking into four groups with most of the strongest riders making the lead bunch. McPherson, Dalgliesh, White, Sim and Spence were joined by Glenn Rewi (Christchurch Mitsubishi), Brendan Akeroyd (Placemakers) and Mike Crawford (Armitage Williams). The lead bunch featured three Placemakers and two Armitage Williams riders and by the start of the second of the three laps the leaders had a lead of four minutes and 30 seconds. This grew to over five minutes on the second lap and eventually blew out to seven minutes as the masters race continued to blow apart in the cross winds and on the gravel. Rewi was the first to go from the leaders, losing touch on the gravel on the second lap after throwing in a couple of attacks, saying he just “didn’t have good legs today.” On the last lap the leaders started to attack each other with McPherson and Dalgliesh managing to break clear on Volckman Road between the two gravel sections. The pair worked well together to build a winning lead that saw them go head to head in the final sprint with officials having to closely examine photos and timing results to separate the two riders in an exciting close finish. Double winter and summer Olympian Chris Nicholson (Freshchoice Richmond Pomeroys) won the second bunch sprint to claim eighth overall, a result that cemented his hold on the over 50’s series classification while Christchurch cyclist Scott McDonnell (Champion System Blue) was the fifth 45 to 49 rider home, enough to take the series jersey off Wellington’s David Rowlands who was absent, racing in the Tour of New Caledonia. 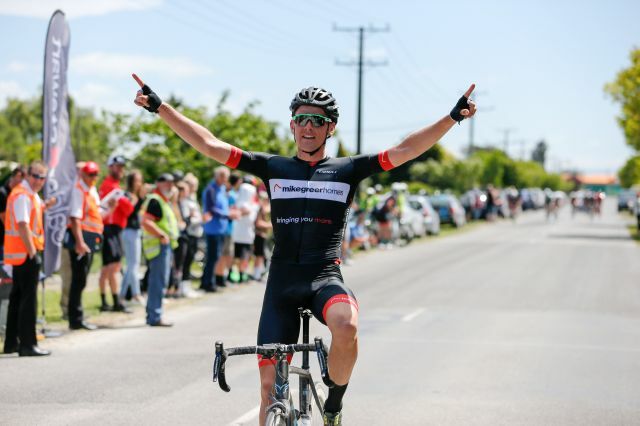 Rowlands won the Small Business Accounting King of the Mountain title while his Christchurch Mitsubishi team won the team’s classification.